Feast on local delights daily! We know how important good food and proper nutrition are during an epic race and you will not be disappointed in the meals offered this week. 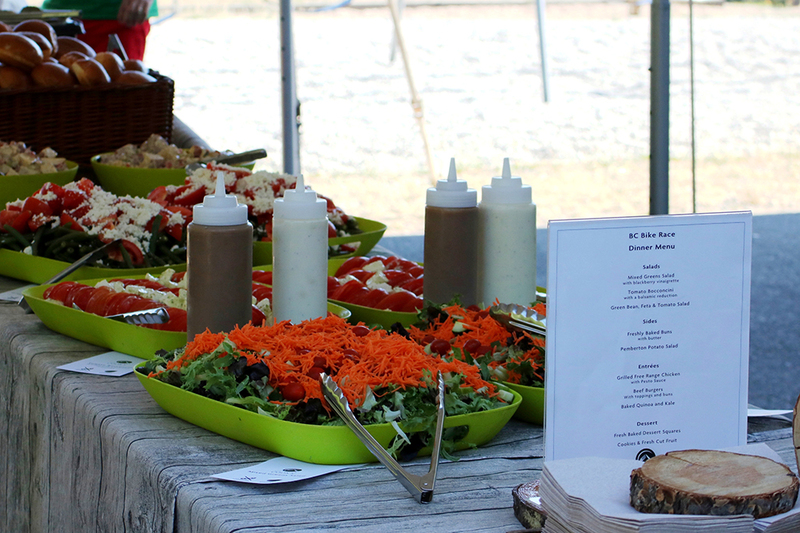 We will be using caterers, bakeries, and other resources that are local to each stage of the race in order to showcase local fare and provide a wonderful variety of foods to tantalize your taste buds every stage of the way. We cater to over 700 people each day and we aspire to create a menu that will satisfy most tastes. 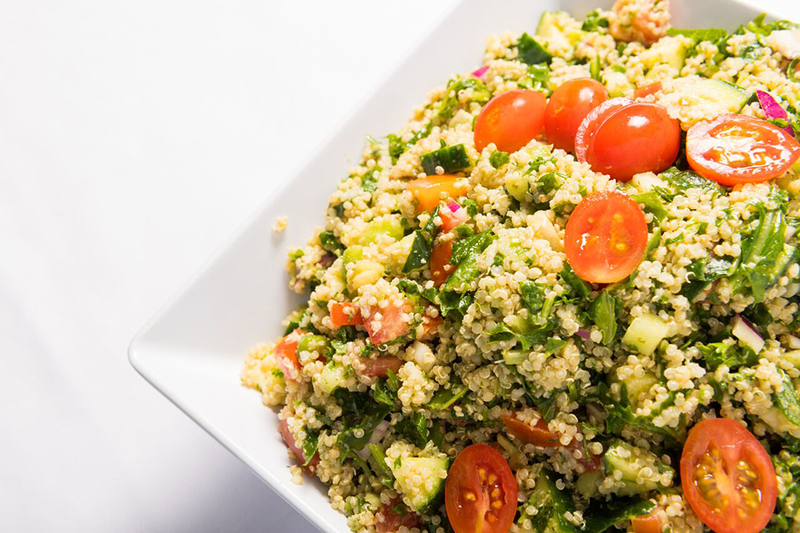 We provide tasty, well-balanced, healthy meals with a meat and vegetarian protein option each day. Meal Plans include breakfast and dinner each day starting with dinner on Day 0 and ends with breakfast on Day 8. It also includes the Banquet dinner on Day 7. Meals are served at three different times in order to accommodate all of our racers, please review our race week schedule to review meal times before purchasing your plan. Meal Plans are not included in your race entry fee. *While gluten intolerant people may not be able to eat everything they will always have choices on the buffet. Email to join the waitlist. Included in your race entry is a four-person size tent, shared with one other racer (two racers per tent). 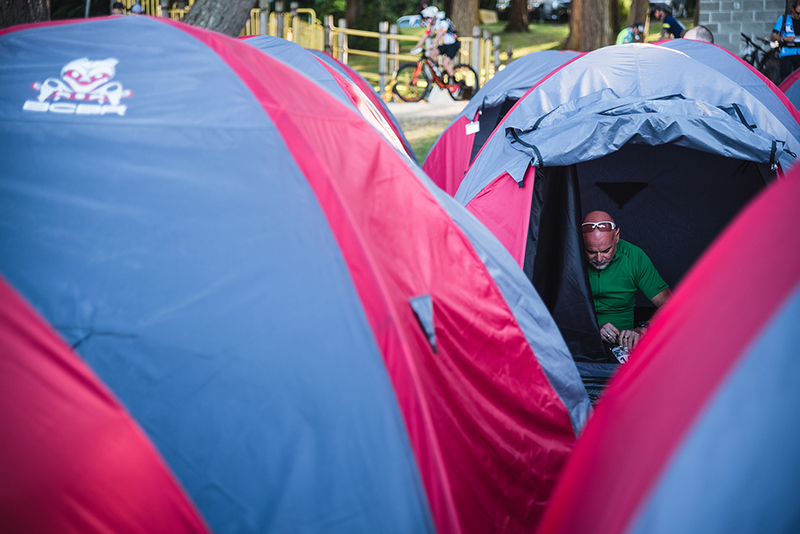 If you do not want to share a tent with another rider you can purchase a solo tent upgrade. 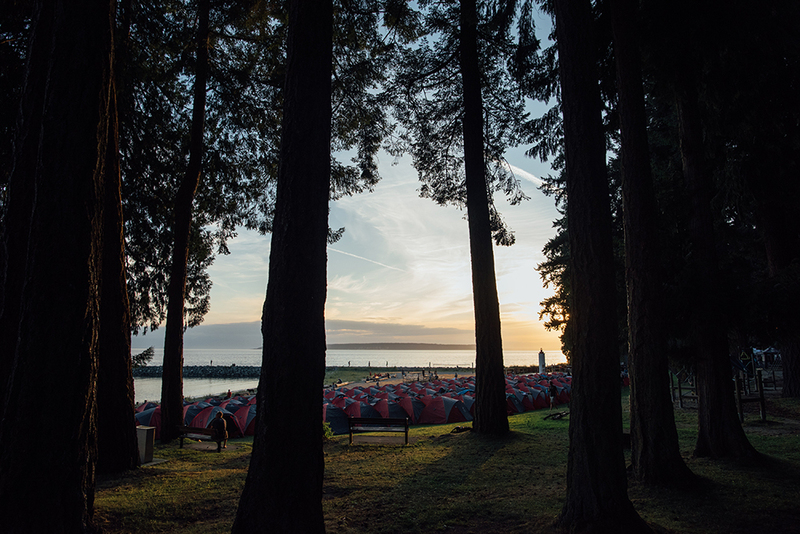 Please note that due to space restrictions at some of our basecamps we have a limited amount of Solo Tent Upgrades available and they are sold on a first come, first serve basis. 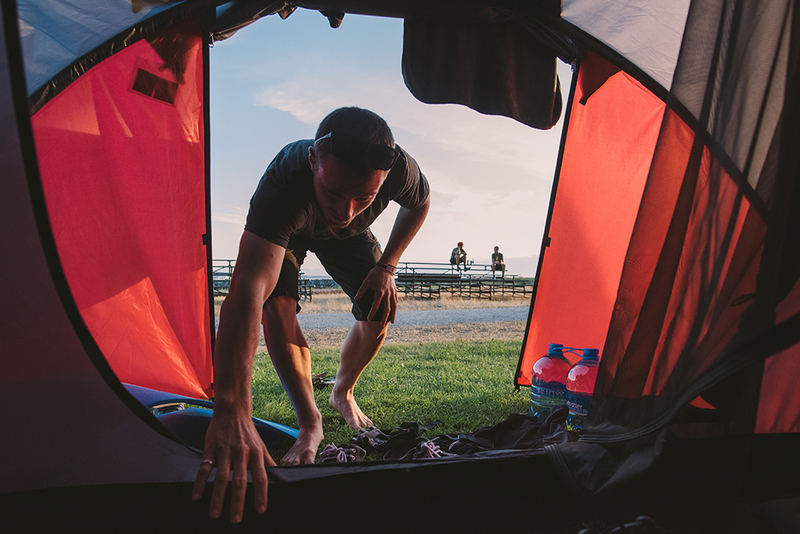 If you do not upgrade to a solo tent, but would like to share a tent with another racer whom you know, please arrive with your tent-mate to our Tent Host station on Day 0 at our basecamp and we will get you set up! If you have a Support Team travelling with you, they will need to have a Vehicle Pass to park near our Base Camps in each location. This pass is free of charge - it does not guarantee a parking spot, however, will identify the vehicles that are travelling with us and allow for us to better plan for the correct number of vehicles to expect. Please note that you will only have enough space for your vehicle with this pass, there will be no room for tenting and there will not be any hook-ups for RVs. Email to join our waitlist. The Willingdon Beach Campground (Powell River) is completely reserved and managed by BC Bike Race for these two days. Purchase this upgrade to get a campsite spot for your RV. **Only five hookups are available. Are you thinking about upgrading to a hotel each night? If so, then a Shuttle Pass for the week might be a good option for you. The shuttles will transport you from basecamp to select hotels pre and post race for each stage. Passenger buses will be running between select hotels and our base camps each day, please note that there may be designated hotel pick up times in the mornings or wait times for buses to fill in the afternoons, please allow for extra time for travel to and from hotels should you opt for the meal plans. *It is important for you to be booked into the approved list of hotels in order to use the shuttle service. If you have any questions, please contact info@bcbikerace.com. 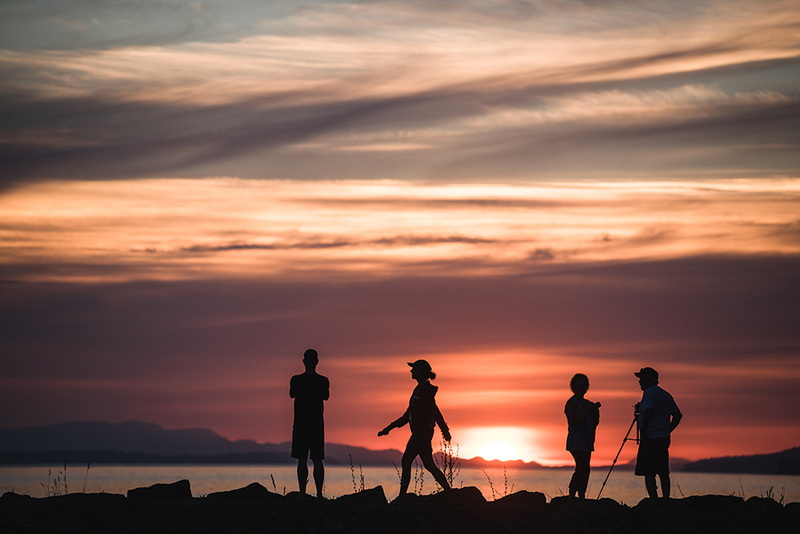 We are working with Ridebooker and the Whistler Connection to offer discounted shuttle services for racers (and your bikes) looking for pre and post-event transportation; Vancouver International Airport (YVR) to North Vancouver, as well as service to Whistler or back to Vancouver on Day 8. Racers planning on extending their stay in Whistler after the event will still be able to take advantage of the discounted rates as shuttles will be bookable up to 1-week post-event. To guarantee seats you must book AT LEAST 72 HOURS PRIOR TO TRAVEL.